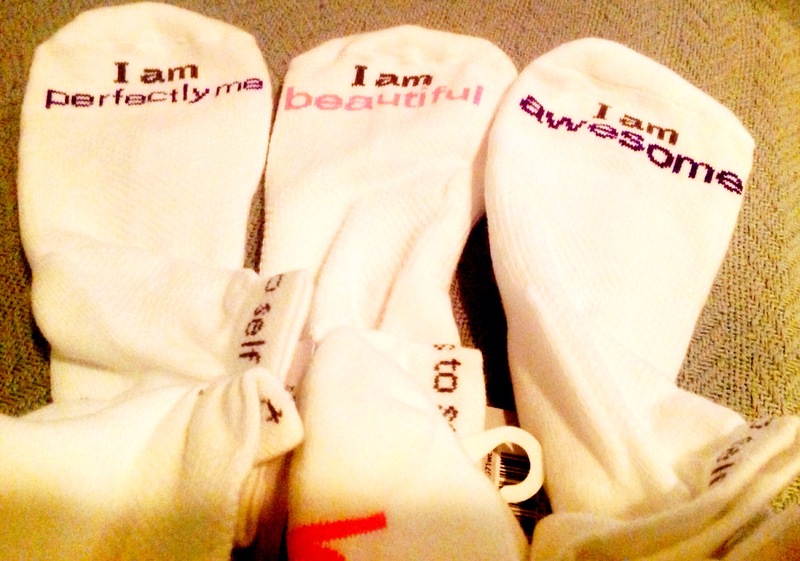 I stumbled on these lovely “notes to self” socks and could not resist buying several pair for a special someone. These are the coolest socks! #100HappyDaysChallenge, #100HappyDaysChallenge, Day #17 (I revised the number. I got confused) Lol! School is back in session and football season is in full affect, which means sitting on the sidelines cheering on B’Dazzle! It’s late and I’m sleepy. Lol! This entry was posted in Healthy Living, Inspiration, Uncategorized and tagged confidence, fit mind, gift, positive affirmations, subconscious, think positive. Bookmark the permalink.